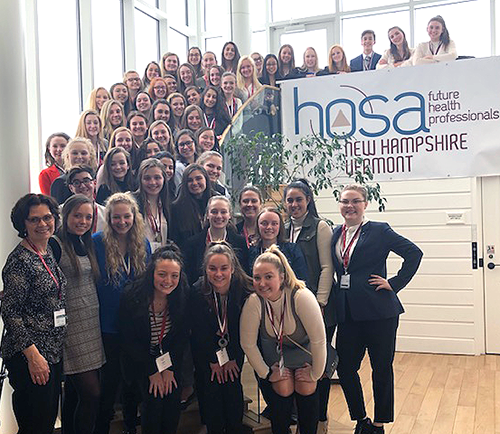 Fifty-four Salem High School students attended the HOSA State Leadership Conference held recently Dartmouth College. Their hard work and preparation paid off with 41 students placing in the top three in their respective events -- making them eligible to attend the Florida International Leadership Conference in June. 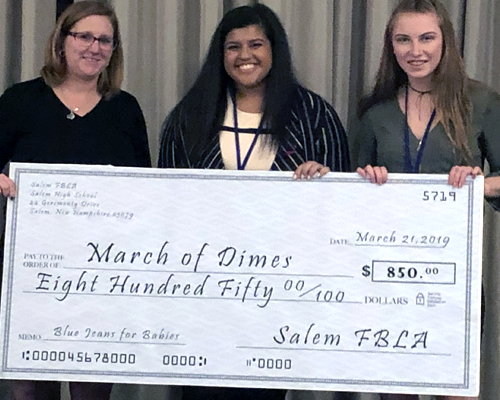 Salem High School had an outstanding day at the annual SkillsUSA State Conference with gold medalists set to represent Team New Hampshire in the 55th Annual NLSC in Louisville, Kentucky in June. Two Salem High School students presented science projects at the New Hampshire Science and Engineering Expo (NHSEE). Jeanna Bernard and Elizabeth Aldrich presented along with 80 other students from across the state. 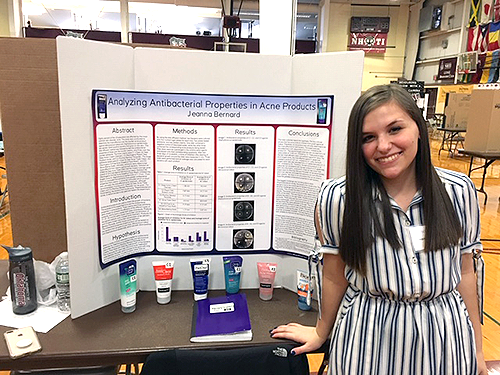 Jeanna Bernard won a $1500 scholarship to the New Hampshire Academy of Sciences to attend their summer research program. Salem High School FBLA students received medals as part of the FBLA State Leadership Conference. The Salem chapter was also recognized as an Honors Chapter and received first place for the Display and Scrapbook. As part of their fundraising effort, they presented the March of Dimes with a check for $850. 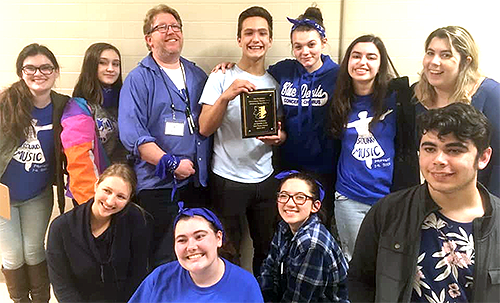 The Salem High School Theatre Arts program hosted and performed at the NH Education Theatre Guild Regional Festival. Parents, staff, and volunteers helped coordinate the event that welcomed five other schools to the Seifert Performing Arts Center for the theatrical competition. SHS's production of T.S. Eliot’s "The Wasteland" resulted in two special awards, one for excellence in ensemble performance, and a special award for excellence in sound design to crew member Austin Hernandez. Because of the students' outstanding performance, they will compete with 11 other schools at the state NHETG competition on April 5th and 6th. Cast and crew includes: Joie Lynch, Kylie Marsh, Faith Occhipinti, Olivia Perrault, Jami Roy, Ben Record, Emma Stanganelli, Katie Tetu, Emily Schultz, AiLi Greenwood, Austin Hernandez, Grace Lumley, Bailey Nickerson, Devin Mack and Robert Bird.